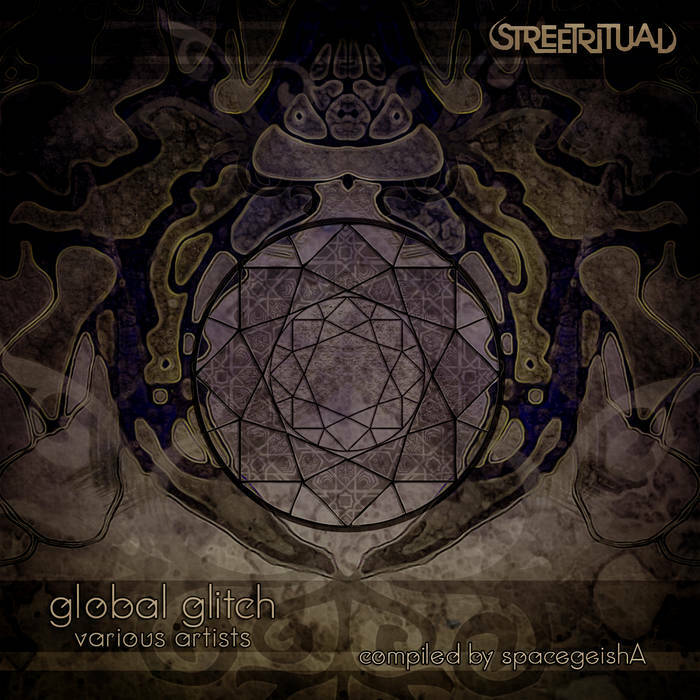 Global Glitch is an international compilation dedicated to musicians living and producing outside of the USA. This fresh creation was compiled by Street Ritual’s Label DJ and Label Manager of 2 years, spacegeishA . The compilation consists of 14 electrifying underground glitch, bass, psychedelic, and tribal productions from 17 innovative producers: Staunch/Goosebumpz, Bumble, Anchor Hill, Mindex, Filip Rasch, Sourone, AtYyA, Nocti Luca, 4bstr4ck3r, MoLokaii, Evil Oil Man, Hinkstep/Animatronix, KarmasynK, & Jnana/Fat Pat. Representing Australia, Norway, Canada, India, Poland, Australia, Russia, France, and Germany, we are continuing to expand our global reach one country at a time as we expand one consciousness through imaginative sonic triggers. Let these experiences inspire, rejuvenate, and enlighten your entity from across the world and into the now. Each auditory awareness is a self-reflection felt through inner direction of known future ancient downloads stemming from each creative artist. These ground-breaking productions reveal authentic intentions through explorations of deep alluring bass lines, glitch emergences, elaborate beat patterns, strategic leads, and otherworldly yet organic rhythms. Capturing the colors of the world through glitch fusions, each producer creates a mystical and emotive direction of gaze into the world’s mind’s eye. Journey into the awakening vision of Global Glitch meant to spark connectivity across continents through geometrical aural escapes.